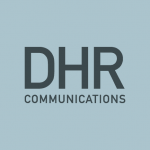 At DHR Communications, we’re busy this week with a number of client events, launches and training sessions. First up, DHR Director Dermot Ryan is addressing an EAPN seminar on ‘building public support for tackling poverty’ in Dun Laoghaire today (12.10.09). Carl O’Brien, Social Affairs Correspondent with The Irish Times, will also address the event, along with Anna Visser, Director of EAPN Ireland. On Wednesday, we’re delivering media training to Women’s Aid, and we’re also working with Active Retirement Ireland on their General Council meeting in Dublin, which will be addressed by Áine Brady TD, Minister of State for Older People. The following day, we’ll be launching FARE (Football Against Racism in Europe) Week 2009 with the FAI and some of the stars of Ireland’s football teams of the past. And we’re also working on the launch of ‘Best in Show’ that day, the annual digital media exhibition hosted by The Digital Hub. Guest of honour at the opening event for this year’s exhibition will be David McKenna, Executive Producer, Cross-Media and Arts, with RTÉ. Further updates on all events will be available via our Twitter stream over the course of the week.